My lovely husband John went to México in April and I promised afterwards that I’d share some of things that he bought back. However, I never got past the first item(s)! Time to put that right! 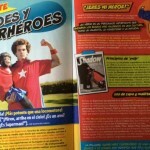 I was overjoyed that he returned with a copy of Muy Interesante Junior. 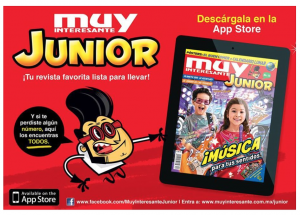 Although I’ve never seen the Junior version before, I was aware of Muy Interesante from browsing quioscos over the years. It’s a (Mexican) factual/scientific magazine with the strap line “La revisita para saber más de todo” and the Junior version is along the same lines aimed at younger readers. And I immediately thought: ‘Excellent! Non-fiction texts of varying lengths and for a variety of purposes – just what the new Curriculum ordered!’ As you can see from the cover and below, the edition has lots of interesting content including fact files, comic strips, activities, puzzles and articles. 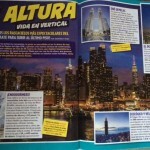 There are five regular sections (below with the focus for this edition in brackets) and also sections of Preguntas y respuestas, Club Junior and short Noticias. Here are some bits that I particularly liked. Many pupils eat this type of tortilla but how much do they really know about them? 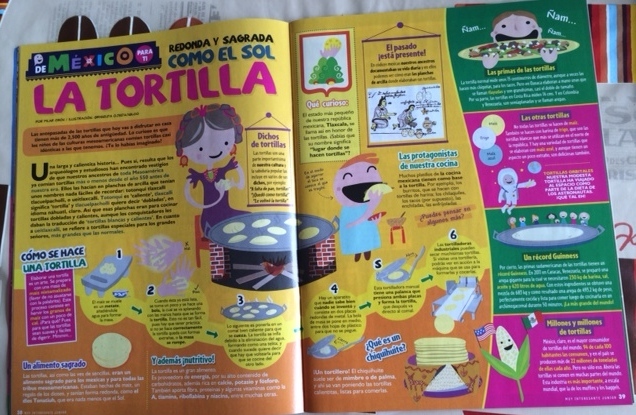 This double page spread is all about MEXICAN tortillas. How to make them, the origins of la tortilla, interesting facts, records, statistics, health information and language related to la tortilla too. 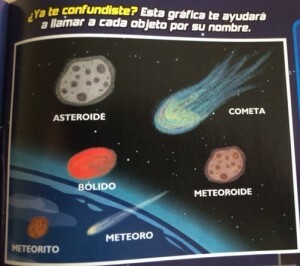 There are even ‘dichos’ or sayings linked to la tortilla. 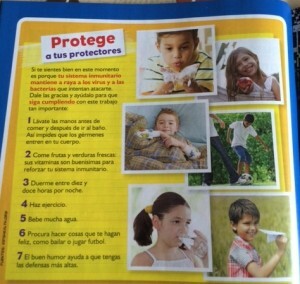 In the section on El Sistema Inmunitario, this section is all about how to give your immune system a hand. 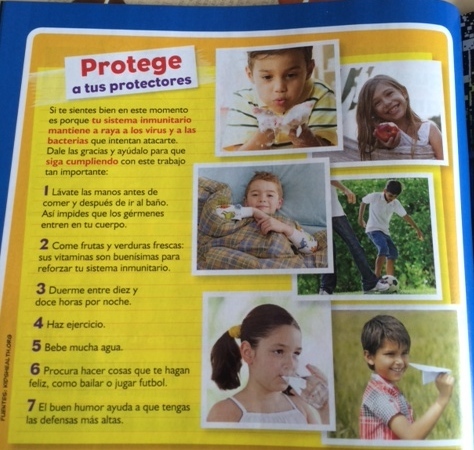 Good for talking about healthy lifestyles and also for giving instructions in Spanish. 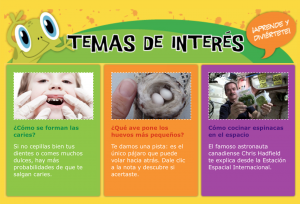 Lots of cognates and making connections with things that they already know about staying healthy as well as the (short) length of the bullet points make it accessible to young learners. 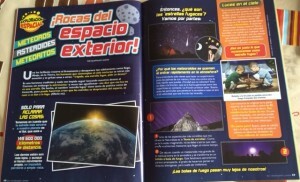 Space is one of the topics that I’ve found works really well as a cross curricular one in Spanish, and this series of articles (there are five pages worth!) add plenty of new information to my knowledge! 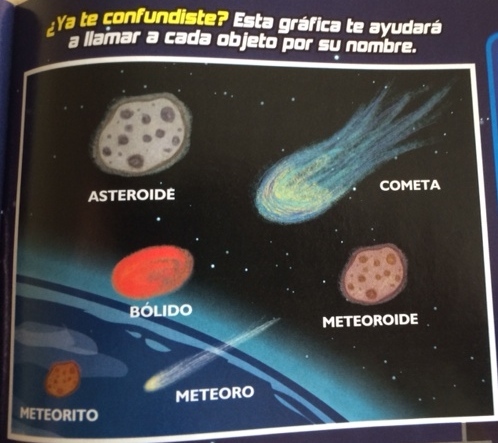 Specifically, lots of information about asteroides, meteoros and meteoritos, and new vocabulary like una estrella fugaz, la lluvia de estrellas and los meteoroides. 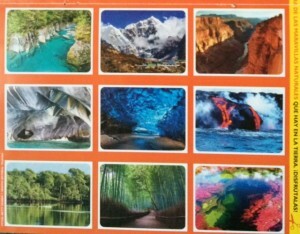 You could give learners three cards and ask them to identify a landmark according to given statements. 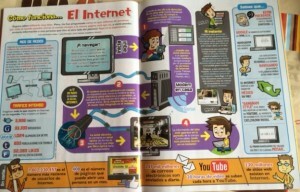 You could mix English and Spanish e.g. 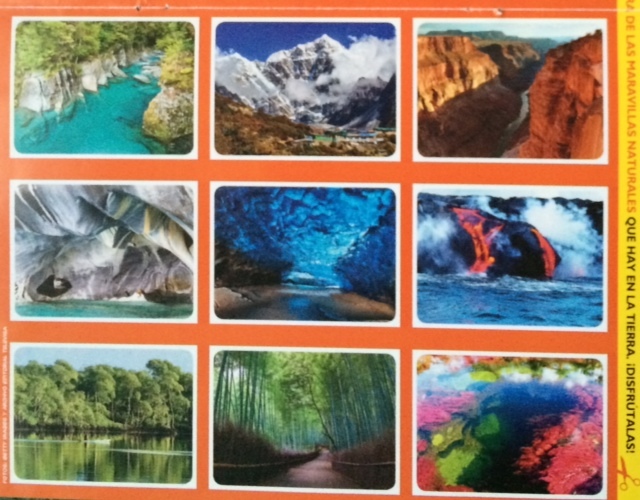 which place is one of the Seven wonders of the world? 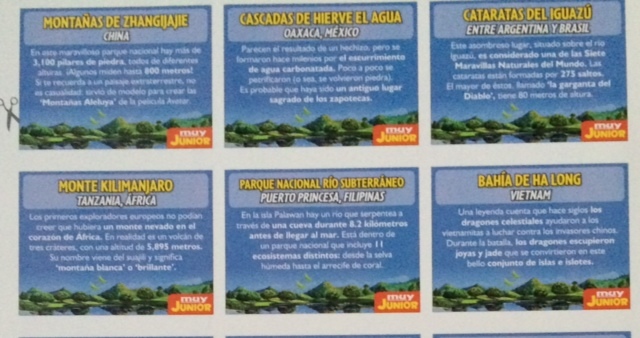 (Cataratas de Iguazú) ¿Dónde están los pilares de piedra? (China) Which place is the model for one of the habitats in Avatar? And what is the ‘habitat’ called? (Montañas de Zhangijajie en China; las ‘Montañas Aleluya’) And so on. Or you could make two sets and learners work in pairs to read a sentence and identify the card by listening and following. 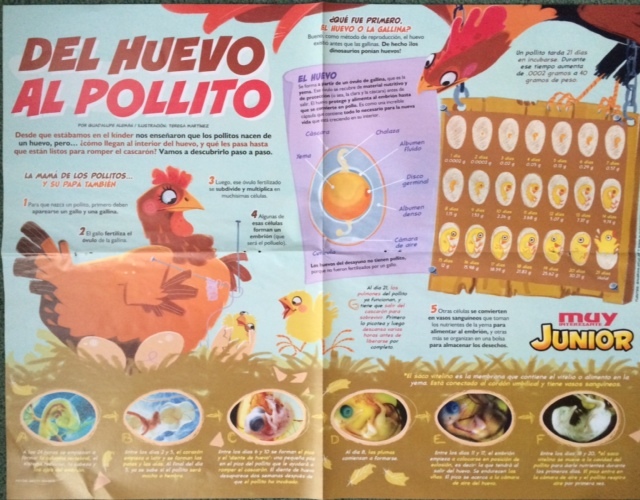 The other insert is a double sided poster – one side has information about how an aeroplane flies and the other a really informative spread about the life cycle of a chicken, complete with pictures of chick embryos. 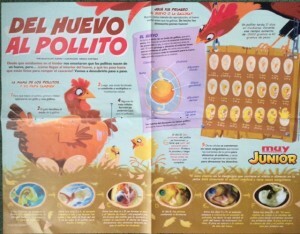 You’d have to pick and choose which bits to share with younger learners but lots of good information that would be really useful for CLIL Science lessons. There are so many other parts that I could highlight – in fact, too much material to assimilate in one go. You can’t access the whole magazine but there are selected parts. The current edition online has three highlighted articles on the shape of the moon, dinosaurs and saving the rain forests, and each concludes with links to another three related articles. 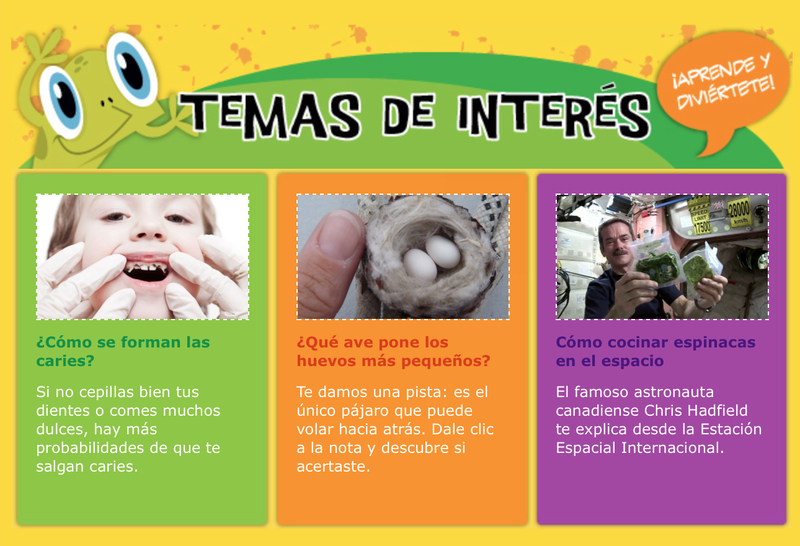 Then there are Temas de interés and Galerías of interesting photographs, again each linked to further articles and albums so there’s lots of content available if you explore! The app is free but you must purchase each ‘magazine’ for £1.99 or, at the moment, you can subscribe for a year (6 editions) for £5.49. I’ve just downloaded one copy so far (wanted to check the quality before committing myself!) and am very impressed. All the pages (80 odd) and the posters and the photo cards. Well worth the money I’d say, even if it’s only for ideas and information for you because (with ADE hat on!) if you want to use it with your class, you need to purchase a copy for each iPad so it might not be something for all the iPads in a class set. You might buy it for a few, or project it from one device using AppleTV or Reflector or Airserver etc for small groups to use as part of guided reading. That’s all for now – I’m off to read my newly downloaded June/July copy! I’ve saved my favourite activity/pages for another post – coming soon! 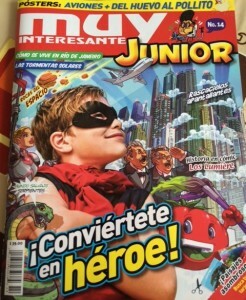 The post refers to the magazine called Muy Interesante Junior when it talks about all the sections. You are looking at the website which, as the posts says, does not have all the content. 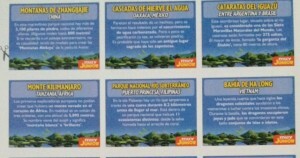 Unfortunately, El que busca encuentra is not one of the things that is on the website. 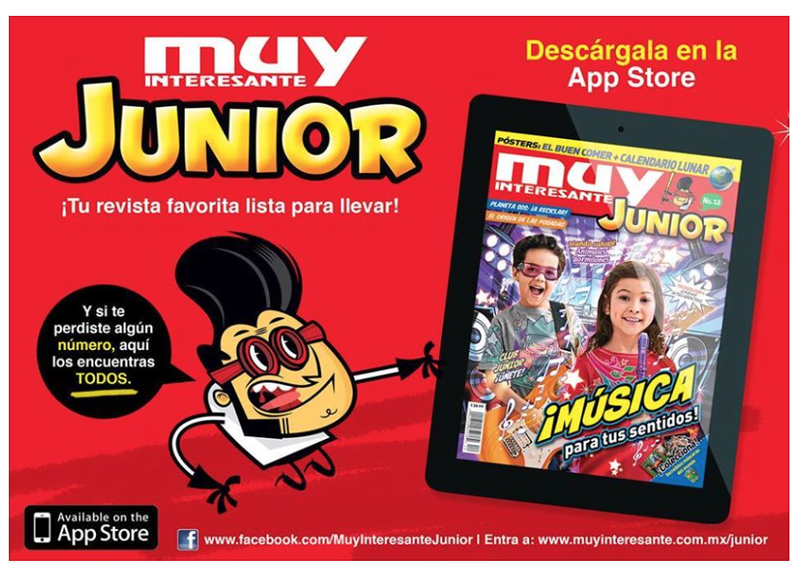 You can get an electronic copy of the magazine via the iTunes Store and the Muy Interesante Junior app, either a single edition or a subscription, and that has ALL the content as the same content as the magazine. The link is in the post. 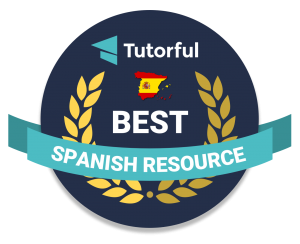 And I’ve just written a new post about El que busca encuentra today – http://lisibo.com/2014/08/el-que-busca-encuentra/ – that may interest you! It’s actually a great and helpful piece of info. I am glad that you simply shared this useful info with us. Please keep us informed like this. Thanks for sharing. Pingback: ‘Curiosidades del Cuerpo Humano’ y ‘Insólitos Animales’ « ¡Vámonos!